Dog walking, food service, yard work and wearing hairnets aren’t the typical stuff of a KA employee’s day. But thanks to the KA Has Heart Volunteer program, more KAers can add those skills to their resumes. KA Has Heart, a grass-roots employee volunteer program with corporate support, recently wrapped up its highly successful inaugural year, with some 155 employees providing 644 hours of community service at selected nonprofits around the Twin Cities, including Feed My Starving Children, American Cancer Society Hope Lodge, and People Serving People. The volunteer service program provides each KA employee opportunities to do paid time service work at preselected charities for up to 8 hours a year during regular work hours, working alongside other KAers. The inspiration for the program came in part from KA’s longtime commitment to Hearts & Hammers, a popular volunteer effort that brings volunteer crews to needy homeowners to provide paint, repairs and maintenance. Feedback from that event indicated that employees were interested in expanding to other volunteer opportunities with additional charity partners. In 2014 the KA Corporate Initiatives Committee, comprised of employee representatives from throughout the KA family of companies, decided to channel that employee community spirit into a corporate program. “Once we started comparing notes with our other KA offices, we realized there was a widespread opportunity,” said Rose Manthe, a member of the KA Corporate Initiatives committee. 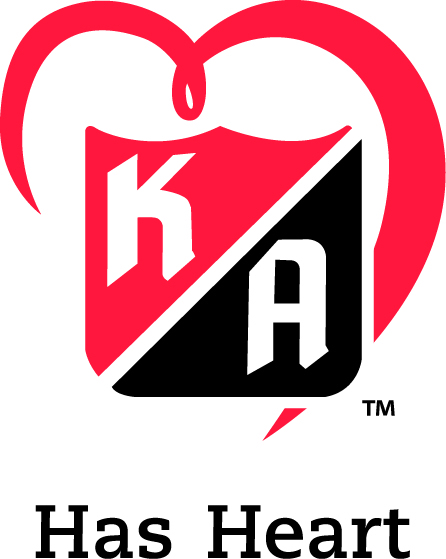 “And our wonderful senior management agreed to support it.” Elements of the program were adapted from an existing volunteer program at KA Insurance, which now also uses the KA Has Heart brand for employee team philanthropic events. The entire program is overseen by the Corporate Initiatives committee, which is currently comprised of Rose Manthe and MaryAnne London, KA Companies; Jody Foster, KA Mortgage; Tammy Lofthus, KA Insurance; Kari Aufrere, Diane Duguay, Emily Hals Laux and Leslie Greves, KA Construction; and Mary Doughman, KA Realty. “Kari Aufrere creates the schedule of events and presents informational seminars at each location, and oversees participation, and she does a great job of it,” said MaryAnne London. In addition, the program is designed to reflect the input of KA employees. All KA employees are invited to send in a nomination for a charity to be included in the program. Nominations are then researched to fit guidelines; passed through the Initiatives committee, and ultimately approved by senior leadership. The program has become a popular offering, combining community service, teambuilding, and wellness components. “It’s also a great way for us to get to know our co-workers outside of our own offices and outside the regular work environment,” said Jody Foster. The 2016 program is expanding in scope, to include volunteer participation opportunities at Feed My Starving Children, Open Arms of Minnesota, Fraser, People Serving People, American Heart Association, House of Charity, Cornerstone, Animal Humane Society, American Red Cross and Toys for Tots. In addition, a stuffed animal drive is being planned for donation to a local fire department.